Sleeping is an integral part of everyday life, but not everyone can naturally or properly do it. The American Sleep Association reports that over 50-70 million Americans suffer from chronic sleep disorders and disruptions. The most common is insomnia, which is characterized as having difficulties in falling and/or staying asleep. Sleeplessness can cause various problems for a person the next day, such as moodiness and loss of concentration. But the mere experience of insomnia is stressful enough, which is usually accompanied by the mind’s racing thoughts and the body’s restlessness. These feelings of anxiety can contribute to sleeplessness and vice versa. In order to fully understand the correlation between the two, it is important to explore anxiety in-depth. 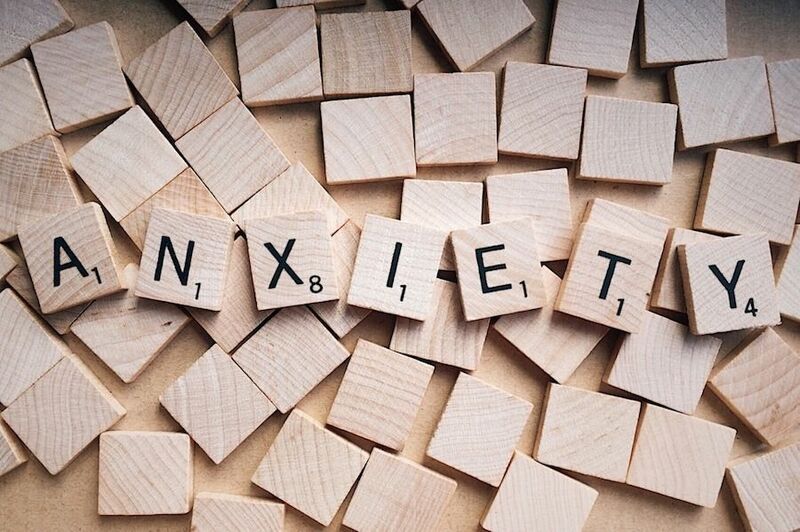 Anxiety is a broad term for an umbrella of disorders that are generally characterized with feelings of nervousness, fear, worry, and the like. There is a difference between occasional bouts or feelings of anxiety versus an anxiety disorder. The latter usually receives treatment and medication to control its intensity. 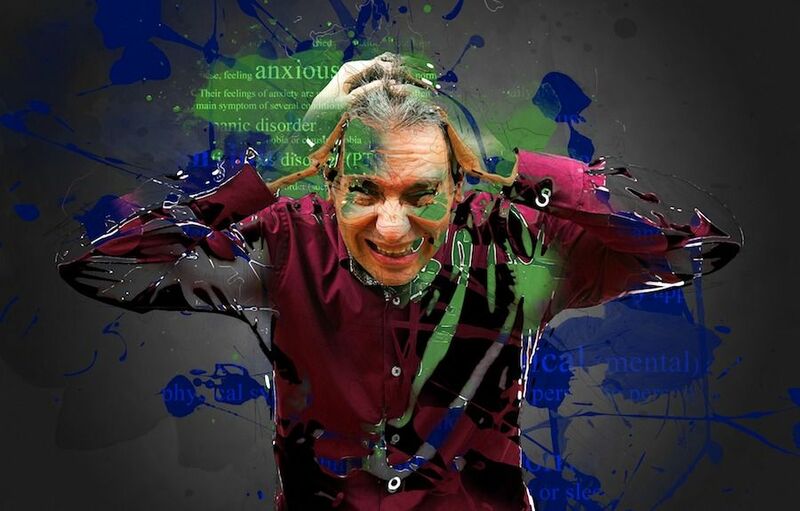 Check Biotech previously covered some examples of clinical anxiety disorders, such as obsessive-compulsive disorder (OCD), post-traumatic stress disorder (PTSD), and panic disorders. However, even feeling anxious for one night can already impact a person’s ability to sleep. When a person is anxious, it puts the mind into a state of mental alertness. Because of this, sleeping becomes nearly impossible, even if external factors such as the sleeping environment did not change. The mind is active and therefore cannot enter a state of rest. Even when the person has successfully gone to sleep, it is also common to wake up in the middle of the night after a couple of hours and not be able to go back to sleep again. This mental alertness doesn’t just cause thoughts to pop in and out of the head. Anxiety also releases the stress hormone cortisol, which can further feed negative thoughts related to insomnia. It also allows for adrenaline to kick in, throwing the senses into a frenzy, which can prevent a person from relaxing. Anxiety and insomnia can create a pattern when left unchecked. The lack of sleep can increase episodes of anxiety attacks the next day for the person suffering from insomnia. Since the mind and body were unable to rest, the insomniac is left feeling fidgety and uncomfortable throughout the rest of the day. Morgan also says that when a person is aware of his or her inability to sleep, it can create certain anxiety issues related to sleep. For instance, obsessing over the possibility of insomnia tonight will not help a person in their quest to fall asleep more peacefully, and this creates a vicious cycle between the two conditions. Leaving anxiety unchecked may also pose more serious and long-term health risks to the patient, such as high blood pressure, strokes, and recurring migraines. Since these health risks pose various negative effects themselves, it’s important to be able to tend to the cause immediately. For instance, Patient.info states that migraines can last up to 72 hours, which can affect not just behavior and sleep quality, but other daily activities as well. Anxiety and insomnia can exacerbate these episodes more often in people who already experience them, and the same is true for other health risks. Moreover, because of the high levels of stress brought on by sleep disorders, the health risks of having increased cortisol levels can also impact the body negatively. Check Biotech also enumerated a number of stress-induced diseases, such as behavioral problems, poor memory retention, diabetes, and obesity, all of which are linked to insomnia as well. To be able to fight them off, it is better to focus on ways how to calm the mind in order to reduce anxiety and improve sleeping conditions. 1. Meditate regularly, especially before bed – Anxiety may be caused by looming deadlines, worrying about the past, or anticipating future events. Meditation helps the mind focus on one thing and arrive in the present moment, away from to-do lists and pending tasks. There are many mobile apps that offer guided meditation, which essentially provide sessions typically formulated by meditation teachers. If silence is preferred, inhaling deeply and exhaling fully can assist the person into focusing on the quality of his or her breath. Counting the breath cycles from 50 going down to zero is a good meditative practice combined with deep breathing techniques. 2. Sleep with a pet – Check Biotech previously mentioned that sleeping with dogs can be beneficial in getting better sleep. It helps in relieving stress and stimulates the release of dopamine and serotonin hormones, which helps to naturally induce sleep. Service dogs are also widely popular in the field of medicine, and can curb feelings of anxiety. 3. Talk to someone about it – Having a great support system can be of big help when managing anxiety. Shouldering problems all alone can lead to more worrying. If it’s something that can’t be done with the help of friends and family alone, consider seeing a therapist, too. 4. Get a planner for all your thoughts and to-dos – Creating a to-do list for the next day can help account for the thoughts floating in a person’s mind before bed. Having a planner or notebook by the nightstand for any last minute things to jot down can be useful. This helps the mind to relax by acknowledging the thoughts that are passing through, instead of allowing them to linger. 5. Play calming music – The assistance of music can be therapeutic to some people who cannot stand the silence at night. This may be instrumental music or even ambient sounds of rain falling, birds chirping, or leaves rustling. Keep it at a moderate volume that is not too loud, but rather more of background audio. 6. Improve sleeping environments – If the sleeping quarters are near a noisy place or if the lights are always on in the bedroom, sleeping might become more difficult to induce. Using night lamps with dimming switches are helpful for controlling the amount of light the person will be exposed to. Consider using aromatherapy, like scented candles and diffusers, to mimic a spa-like environment. Getting softer pillows and a heavier blanket will also increase the comfort of the person before going to bed. 7. Cut back on caffeine – Drinking caffeinated beverages such as coffee or tea near bedtime can cause increased mental alertness. And even if they are taken in the morning, it is a good idea to decrease your intake and observe if this improves your quality of sleep. Water is a better substitute for oral liquid intake. Although, it is also advised not to drink too much of it near bedtime as it can cause frequent trips to the bathroom at night, thereby disrupting sleep. 8. Exercise regularly – A physical activity is not just good for the body; it is also good for the mind. One hour of exercise daily can already boost mental well-being, since it releases mood-enhancing endorphins, also known as happy hormones. It can also serve as an outlet for any frustrations or stressful situations. Having insomnia is very disquieting, but with proper lifestyle adjustments, better sleep practices, and a solid effort to curb anxiety, insomnia can go away. The change may not be instantaneous, and it may require a little bit of trial and error to see which methods work. Stick to a routine and whatever works best so that the mind and body will adapt the cues for when it’s bedtime. In the event that the body has not been able to adjust properly to any kind of change, return to your doctor to learn about other potential solutions which may be tailored specifically for you.